More often than not, the stories that perk my ears are the ones that defy all expectations – not in a completely random way, but in a way that makes sense to the story and reveals, in its juxtaposition, some universal truth. 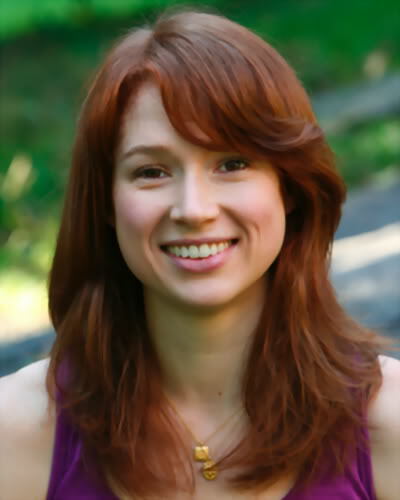 Okay, so maybe I’m just an English major reading a bit too deep into things, but let me break it down for you using Ellie Kemper’s “How Aleksandr Knew What He Knew, and How I Knew That He Knew” (McSweeny’s – http://www.mcsweeneys.net/articles/how-aleksandr-knew-what-he-knew-and-how-i-knew-that-he-knew). What grabs the reader here are tiny phrases that seem to defy what we know about cab drivers and their relationships with their patrons. Alek is a mystery – an agent of chaos who does everything from smiling like a child molester to turning around in his seat while driving to face the back window. Alek defies conventions of society – believing that women should have big thighs, be fed strawberries every night, and their bodies treated like steaks – and there is something his patron’s curiosity about him that defies convention, likewise. I don’t know about you, but my reaction if I hopped in a cab with a man like this would be to run as far as I could in the other direction. But that is not the way this character acts – she is drawn to him inexplicably, and that is where the story’s tension lies. Then you have the ending. Alek has intrigued us with his knowledge and that is shattered by the all-too-foreseeable ticket which had given him an insight into his patron’s travels. And yet, despite this shattering, the illusion still carries – because it is so small that Alek could not have read it from where he is, and he gives the cryptic response, “We see what we want to see.” In many ways, this girl is seeing what she wants to see in Alek, too, as her final thoughts of him suggest. So what do we see? Do we see the clichés because that is what society has taught us to see or do we see the taboos that society has taught us to unsee – and which do we want? I can tell you now, I much prefer seeing the truths in fiction that I cannot see in reality – or perhaps that I do see and cannot make tangible with words. Finding those truths is what keeps me reading fiction – it is a mirror through which to see what I wish. Tags: and How I Knew That He Knew, angelios, believer, blogger, cedar rapids, christa, coe college, Coe Review, Ellie Kemper, Fiction, fiction is a fun house, How Aleksandr Knew What He Knew, iowa, literary magazine, McSweeney's, review. Bookmark the permalink. Previous post ← Calling All Kohawks!